The anticipated cost of the weekend is approximately $150.00. 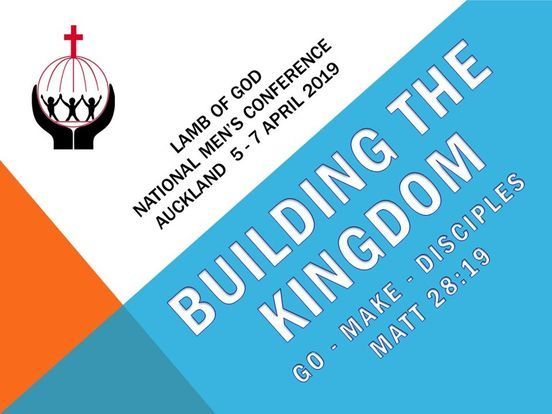 With a good number of brothers expected from around the country and possibly from overseas the Auckland branch will be engaged in a lot of services supporting the conference. In particular, we can assist them with our travel arrangements. We all know that the Auckland can be challenging (and if you don’t you will probably find out!). Transport will be arranged to and from the airport to the venue with a bus. Could brothers making travel arrangements please ensure they book to arrive by 6.30 pm on Friday 5th April and depart after 4 pm on Sunday 7th April. If a brother would like to extend their stay in the days prior to or after the conference, I ask that you make your own arrangements for this time. I am really looking forward to a full weekend where you and I can be encouraged by sharing with brothers from around the country, inspired by speakers and being touched by the power of God. Note that we will try to place the 60s and older to the motel units and the younger brothers to the dorm units. If you have a special request, please comment below. If you need or prefer to be in a motel unit, is there a person you prefer to stay with? Do you have special needs, privacy requirements,and special amenities needed? Do you require transport from/to the airport? Some brothers from other branches cannot fully pay the rego fee. Are you willing to subsidize those brothers by paying more than the required amount of $150? Thanks. You can pay online Account Name: Lamb of God Community Account Number: 02 0800 0873299 03 and put Men's Conference and your name as references. If you paid online, please indicate below the date and how much..